2014 is an exciting time for Scotland as it plays host to a spectacular year of sport and entertainment. Two of the world’s greatest sporting events have and will take place on Scottish soil. We had the Commonwealth Games in Glasgow during July and this month will see the Ryder Cup arrive at Gleneagles. Running alongside this is the Homecoming which will see Scotland impress the world with a year-long programme of events in celebration of the country’s food and drink, culture, heritage and natural resources. Fan dabby dosy! During the 2014 Food & Drink ‘On Par’ Tour that I recently took part in, we required a bed for the night. I was beside myself with excitement when I read that we would be staying in this iconic luxury hotel…a hotel I’d dreamed of for years! Before I begin, I would like to make it crystal clear that I am totally bragging and I’m not remotely sorry. 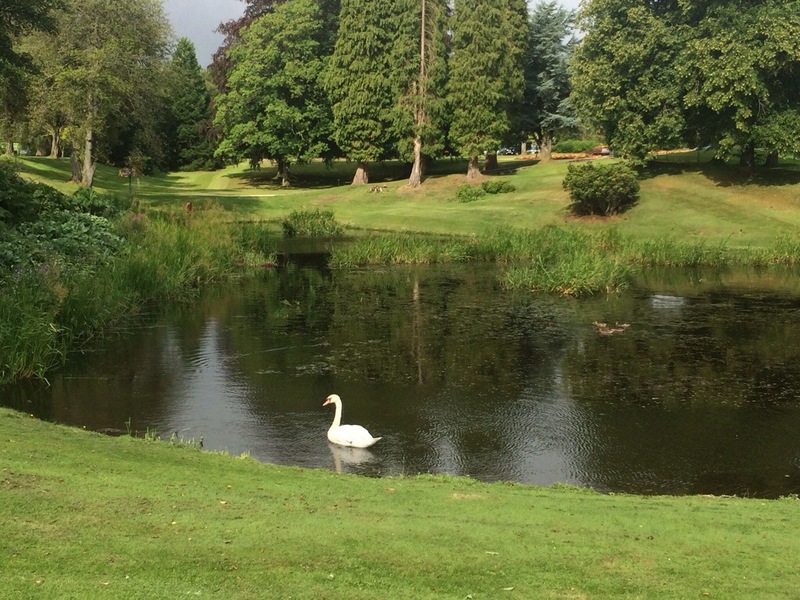 The Gleneagles Hotel is a destination often known as a golf resort due to the array of courses they have, set against a stunning Perthshire backdrop. This year, this is part of their identity is taking the limelight as their PGA Centenary Course is opened up to being taken over between the 22nd and 29th September as they host the Ryder Cup. We arrived at the stunning 1920’s-built dream of a hotel. It took my breath away instantly. It’s a massive building surrounded by perfectly manicured flower beds, romantic fountains and benches, lawns and the lake with swans and ducks. I had the most delightful moment on the way in where the traffic going in and out of the resort all had to stop to allow a family of ducks to cross the road. It was so cute that I felt like I was in a Disney opening scene! We had a couple of hours to relax in our rooms before dinner. Thanks to WordPress, images of the room were deleted so I had to amend this post with poorer pictures that I found in various file storages, so accept my apologies for not showing the true beauty please! 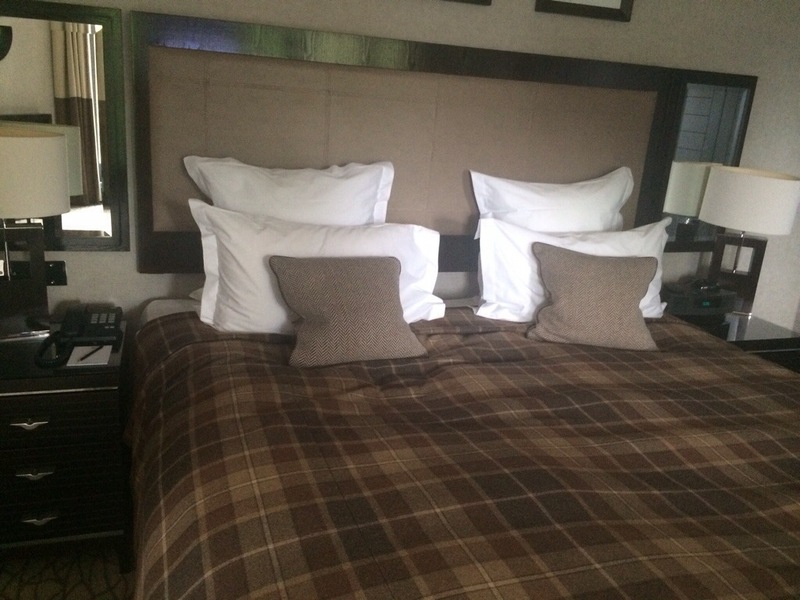 If someone from Gleneagles is reading this, please be advised that the bed was perfectly made when I arrived. I got extremely excited and ran a lap of the room before throwing myself (Bodyguard style) onto the bed (sorry). I tried to square it up for the photograph, but clearly you wouldn’t hire me as it’s not perfect. During my period of getting ready for dinner (which was frantic due to my nap exceeding its deadline) I made a bit of a mess. The contents if my make up bags were strewn across the bathroom, my less-than-perfect outfits on the sofa and I couldn’t find things I needed for my clutch bag for dinner, so I emptied my handbag out over my floor, packed my clutch and bolted out the door. When I arrived back to my room the staff had tidied up all my stuff and laid it out neatly, turned on my bedside lamp, positioned my slippers and sorted the bed so that it was perfectly neat again. My duvet was turned out, ready for me to turn in. It was so lovely. And mortifying because of how I left it (thinking that nobody would see it). 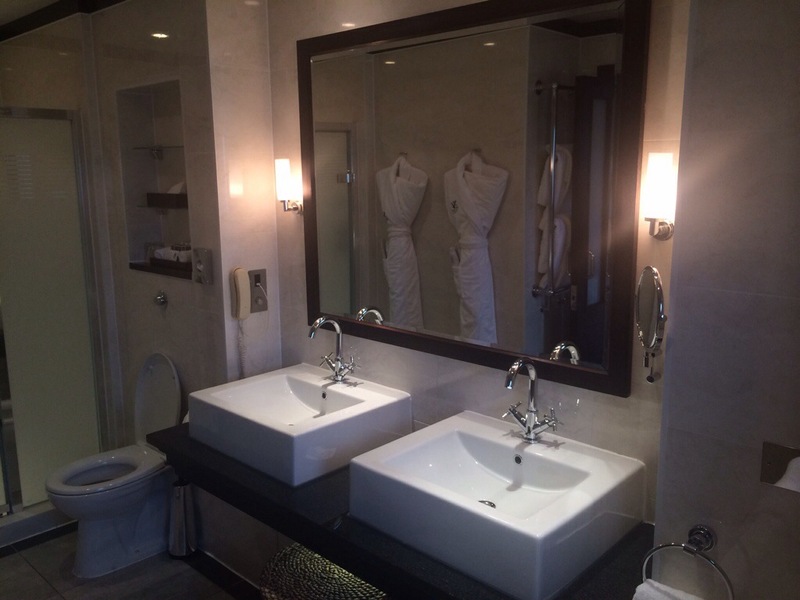 The spacious bathroom, complete with a luxurious bath tub and robes. I do love a robe. 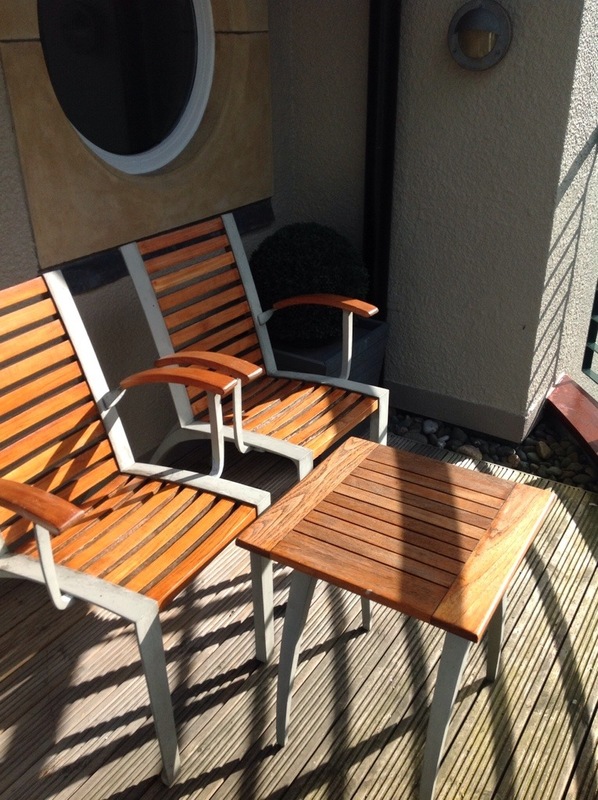 My balcony – a fantastic little addition to my room. 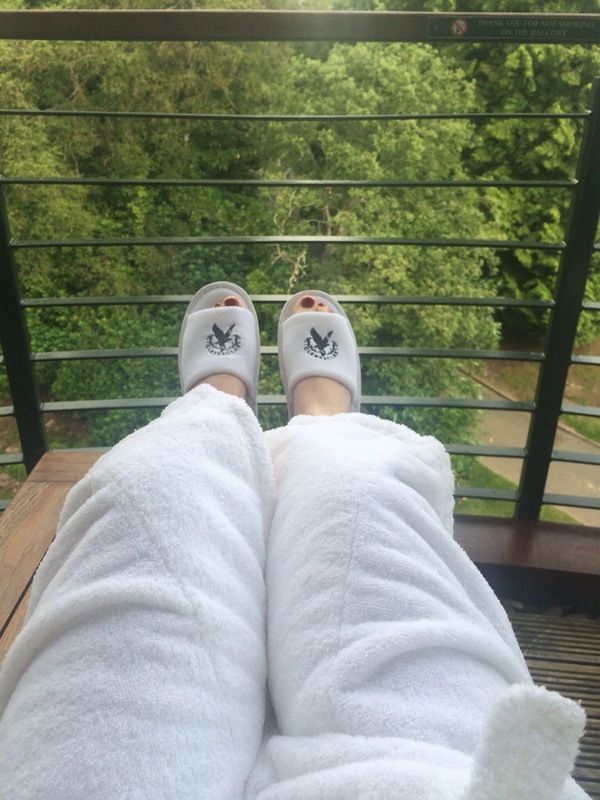 Before I went to bed that night I had a long, hot bath and afterward I sat outside on this balcony in my robe to cool down. It was absolute BLISS. 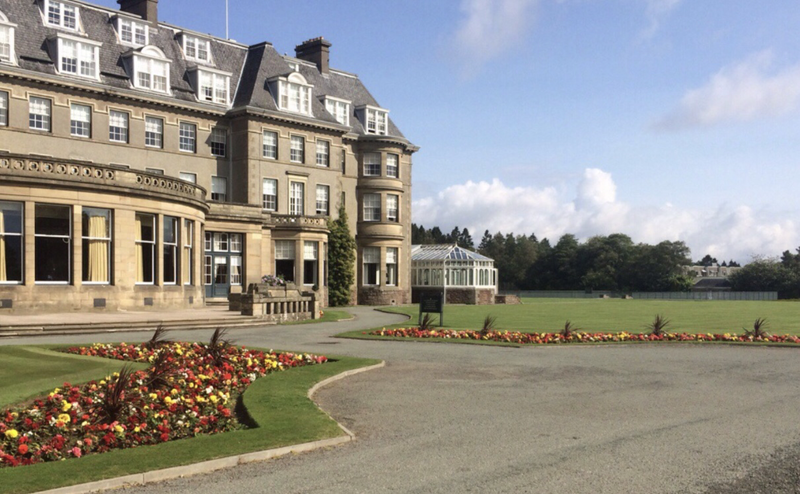 When I was originally invited to Gleneagles, Andrew Fairlie’s restaurant crossed my mind (of course it did! ), but I didn’t expect to dine there as it’s pretty extravagant. We were told we’d be eating ‘in the cellars’, which I interpreted as ‘The Cellars’ and I assumed that was the name of the hotel restaurant. It wasn’t Andrew Fairlie but I knew it’d be amazing nonetheless. I’m now going to tell you that I’m so pleased we didn’t have the Andrew Fairlie experience. Before you think I’m crazy, find out why…! 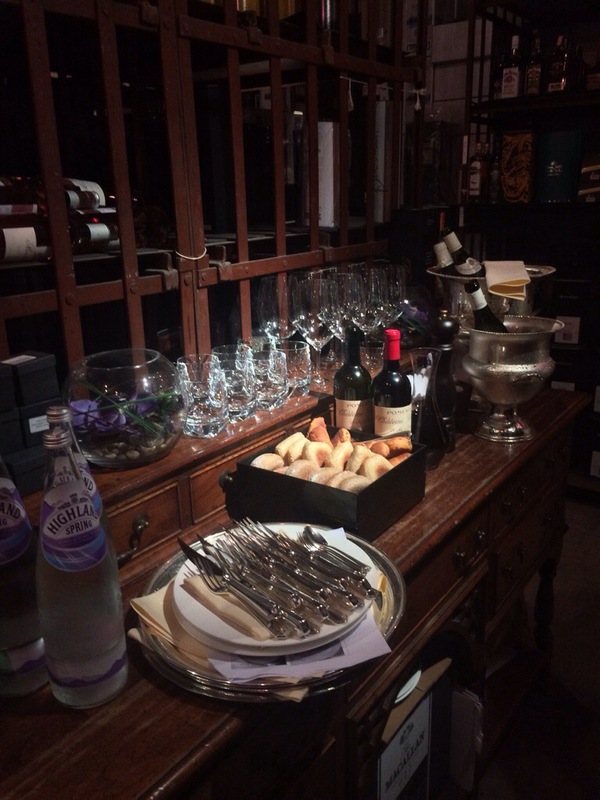 We were escorted to the cellar – the actual wine cellar – where the sommelier and waiting staff were awaiting our arrival. 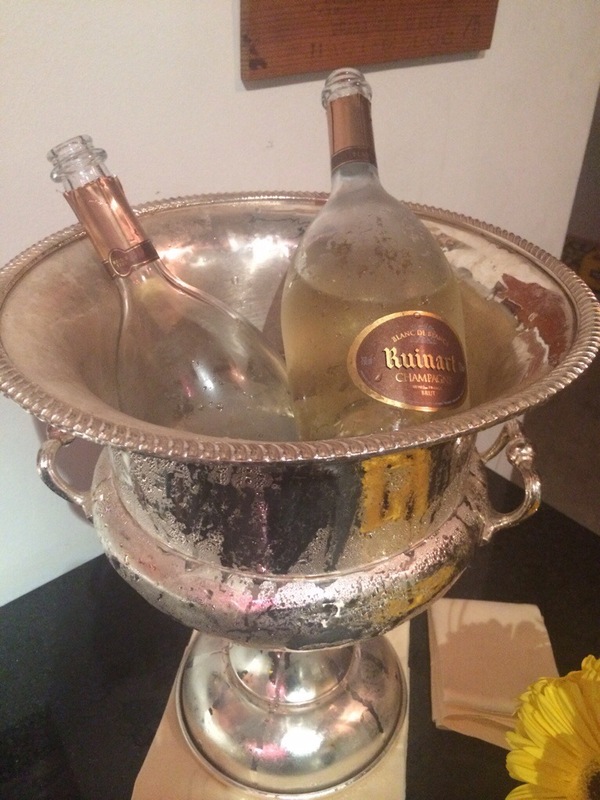 We were handed glasses of Ruinart Blancs de Blancs NV champagne to sip as we were given a tour of the cellar. 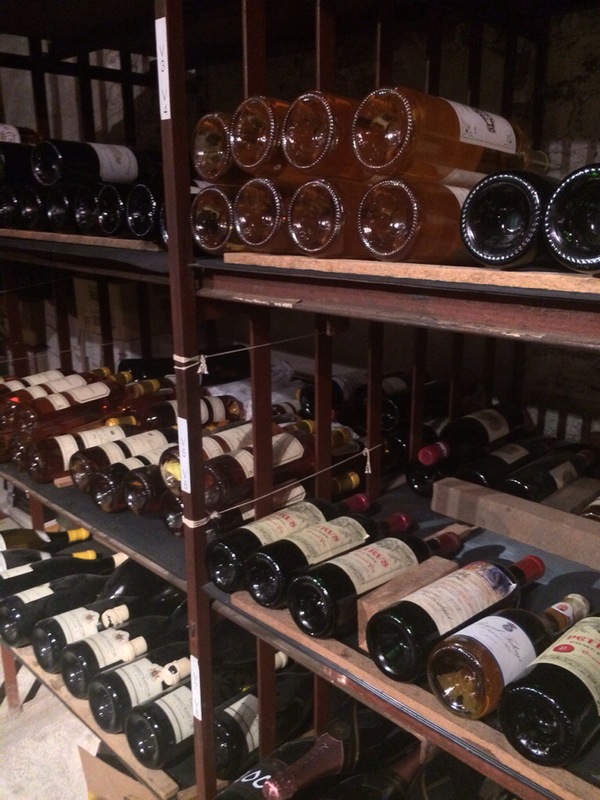 Some of the wines and whiskies held are rare, and hence worth a small fortune. I chanced it and asked for a sip of the Krug, but sadly they weren’t willing to open the £5000 bottle for some strange reason. DON’T THEY KNOW WHO I AM?! 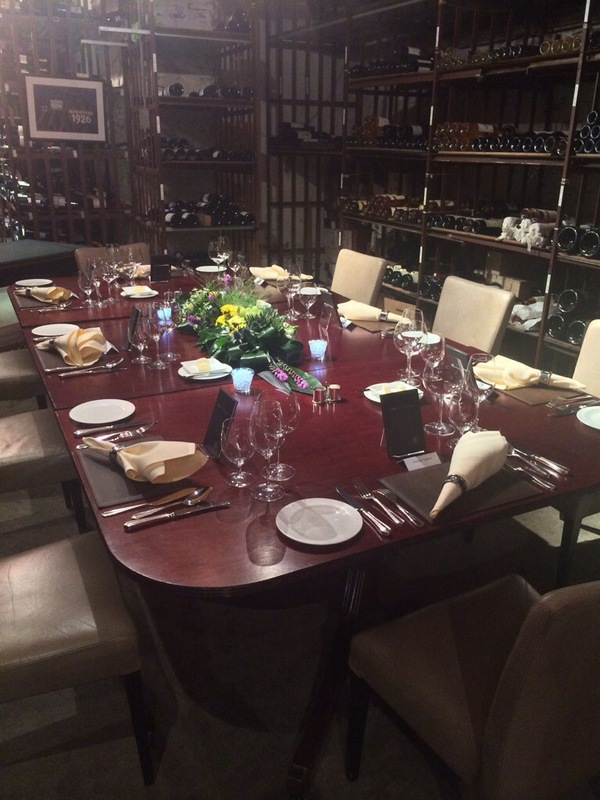 We then took our places at our private dining area in the cellar to enjoy our canapés. I had a seat next to Simon Howie. It’s kinda weird sitting next to the guy who is on the label of the bacon and black pudding that’s in your fridge. Simon was talking to us about how he started and grew his business; he’s a really lovely person as well as interesting and knowledgable, particularly about business and customer service. And he scored point for thinking it’s COOL that I teach Home Economics! The food was then served. 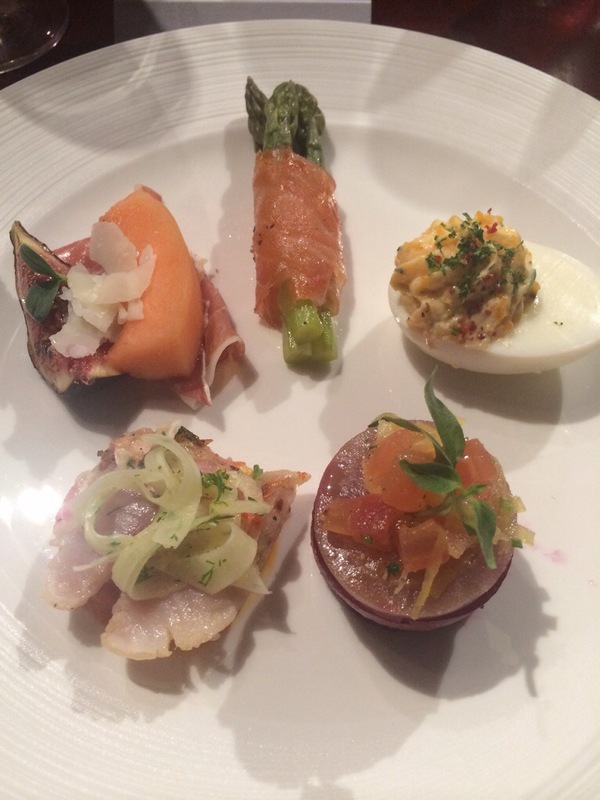 We started with a selection of canapés to fit with the theme of the hotel celebrating it’s 90th birthday. 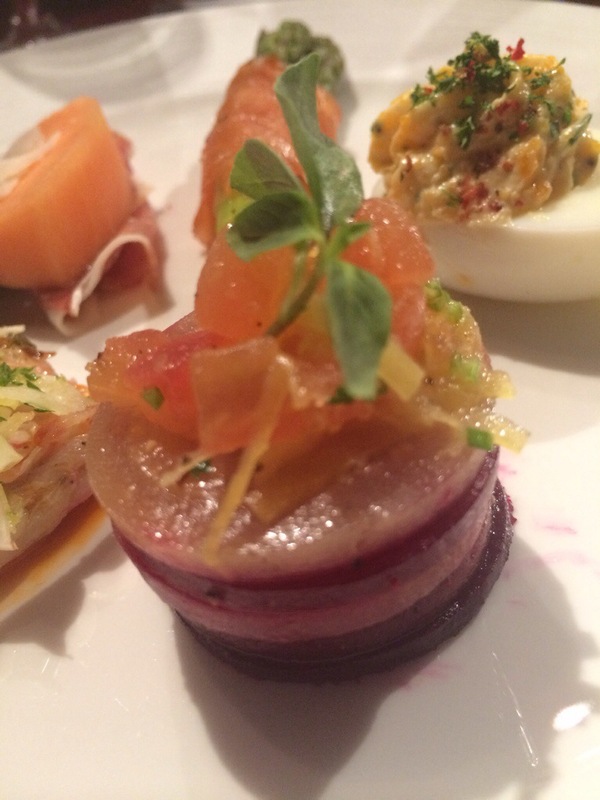 These canapés are a contemporary presentation of classic canapés that the hotel served during their early years. 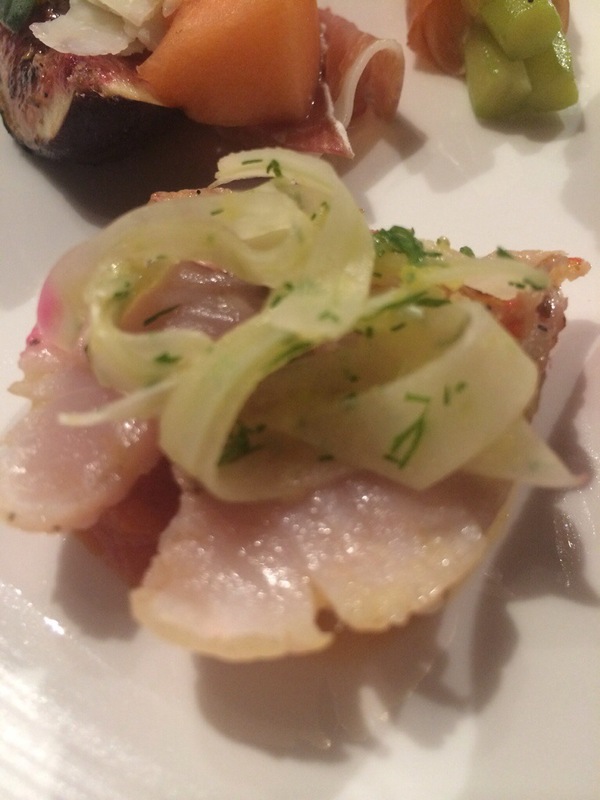 They were served with a glass of Domaine Jessiaume Santenay, ler Cru, “Les Gravëires” (2011). 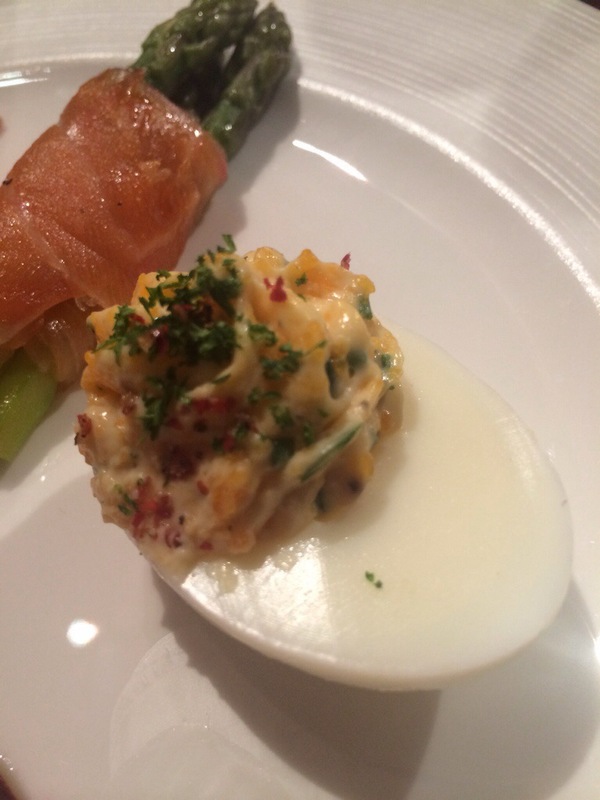 This was my favourite canapé – I love the precise nature of its presentation. Carpaccio layers of different beetroot carefully stacked to give a colourful spectrum of beetroot colour and flavours. We were then served our starter, which was my personal favourite dish. 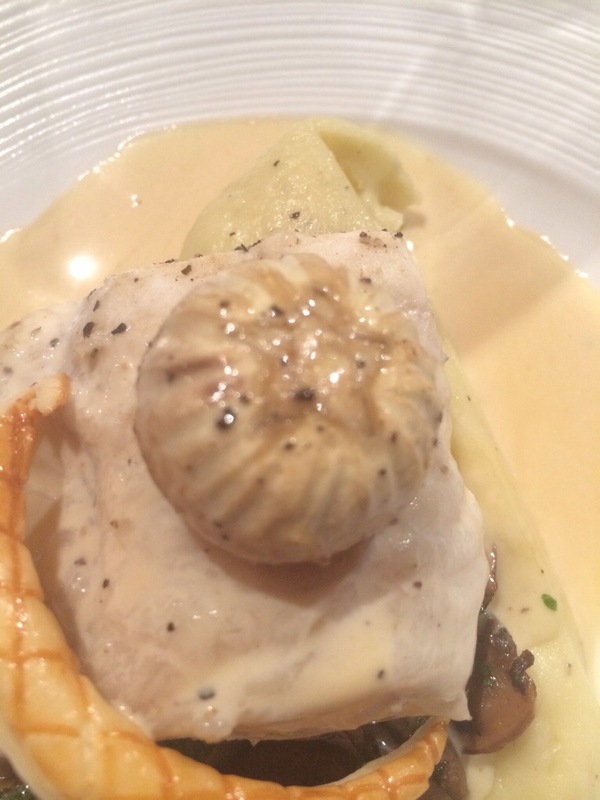 Turbot is a glorious fish, and up there as one of my favourites. 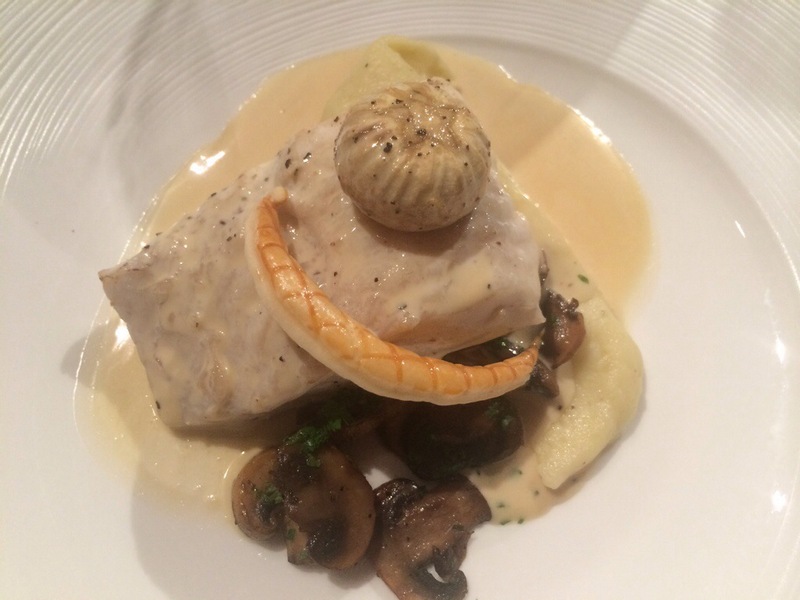 It’s a very meaty white fish with a stunning flavour. 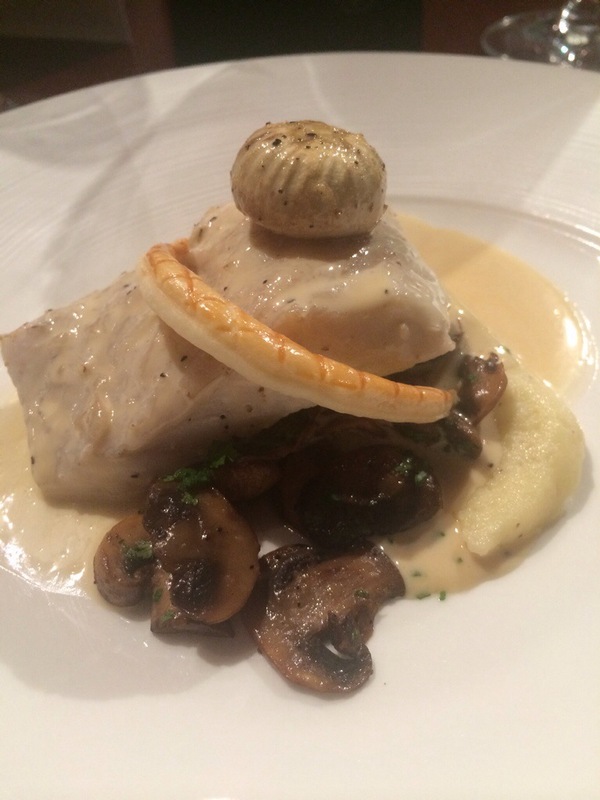 It was served in a velvety cream sauce with sautéed mushrooms, fondant potato and a pastry horn. The mushroom on the top was craftily peeled to leave a star shape on the top – a trick that new chefs had to master when entering the kitchen ‘back in the day’. 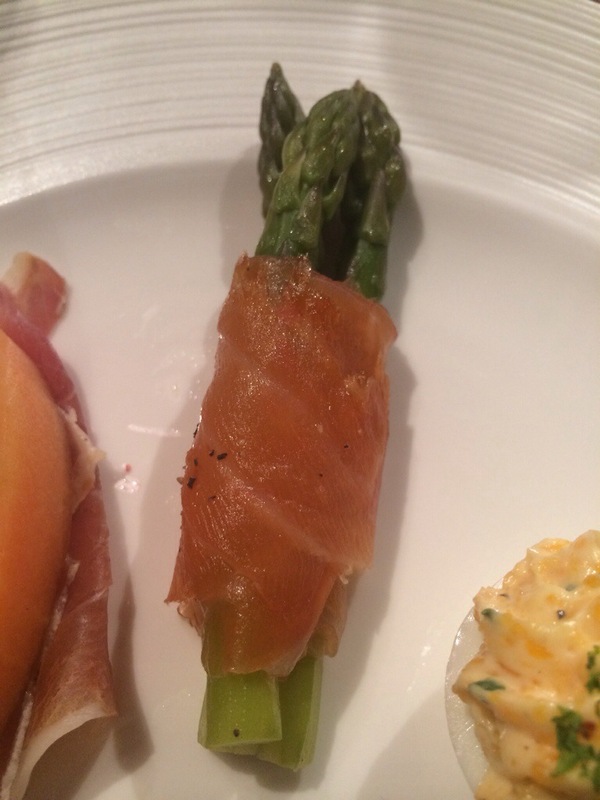 This was served with a glass of Domaine Bouchard Père & Fils Meursault ler Cru, “Genevrieres” (2009). The entire meal was flawlessly delicious, but this starter was definitely my favourite part. The vegetarian’s nightmare/my dream then arrived: the meaty delight of a main course. This. Was. Phenomenal. Each element was so carefully prepared and presented, so the physical arrangement and visual impact of the dish had everyone at the table ‘wowwing’ as it arrived. Despite the clever arrangement, the dish in itself is simple and homely. 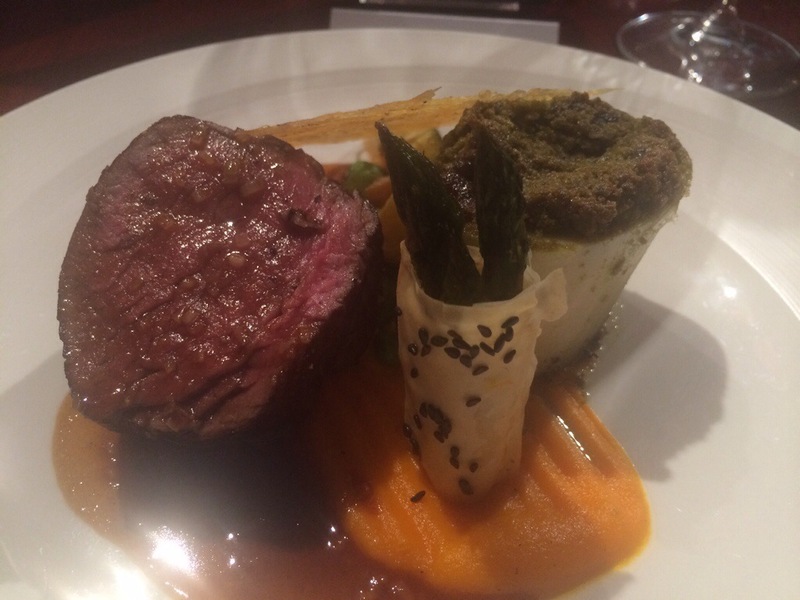 A gorgeous round of beef cooked rare – flawlessly tender and juicy with no fat, placed atop of pureed carrots and moated by bordelaise. 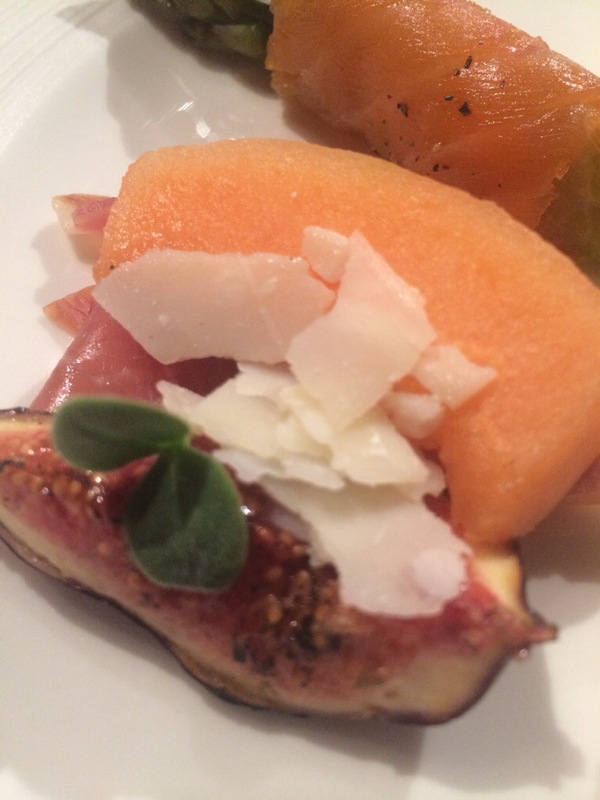 It was served with a sumptuous bone marrow with a cheese crumb topping – by far the best I’ve tasted, with the bone marrow in NYC being relegated second best. 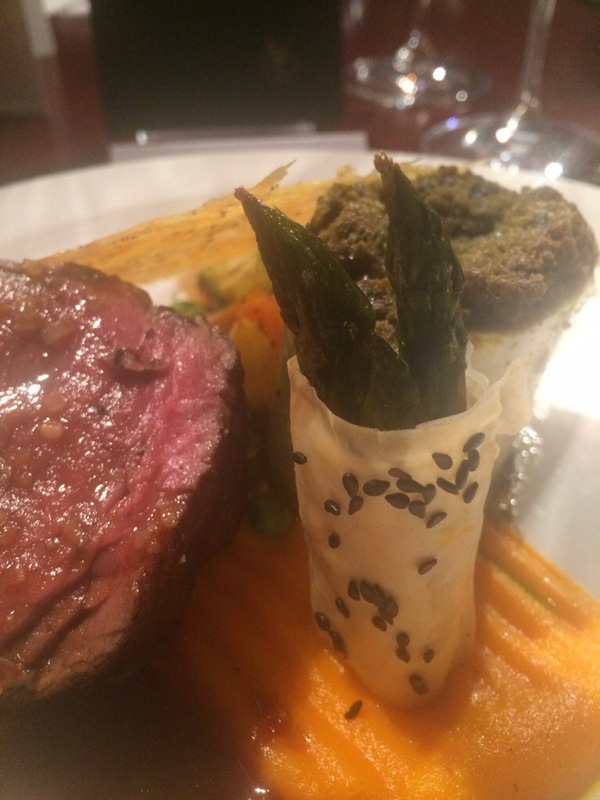 Filo wrapped asparagus tips, a Parmesan tuile and some seasonal vegetables accompanied the beef. 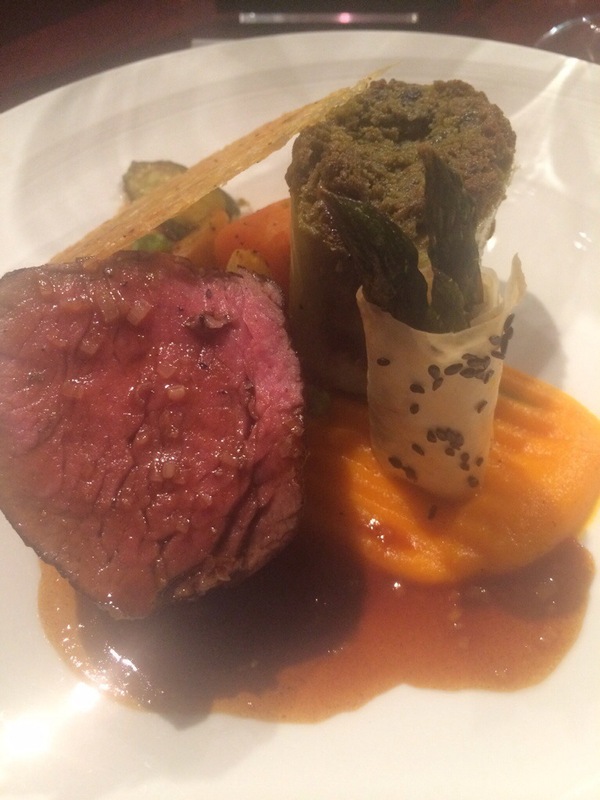 It was to die for – the crisp pastry, the crunchy tuile, al dente vegetables and tender beef. 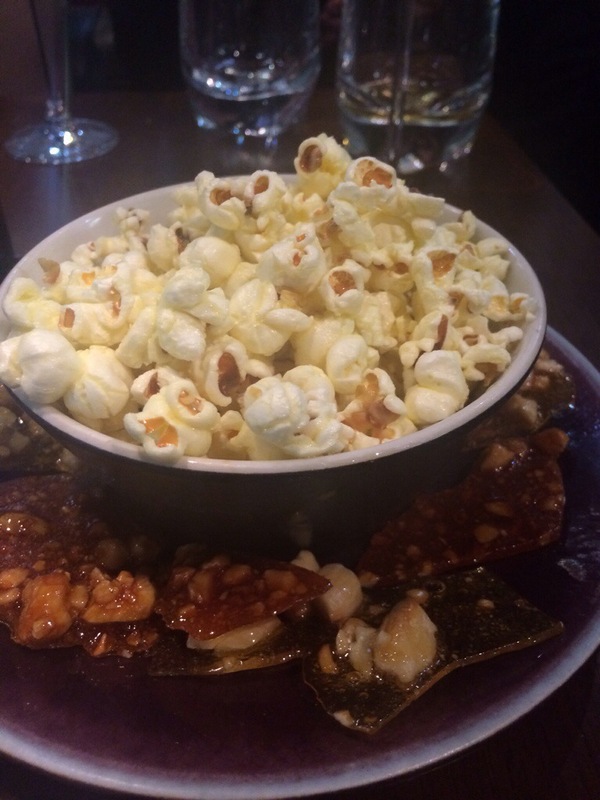 A classic arrangement of ingredients cooked to perfection. 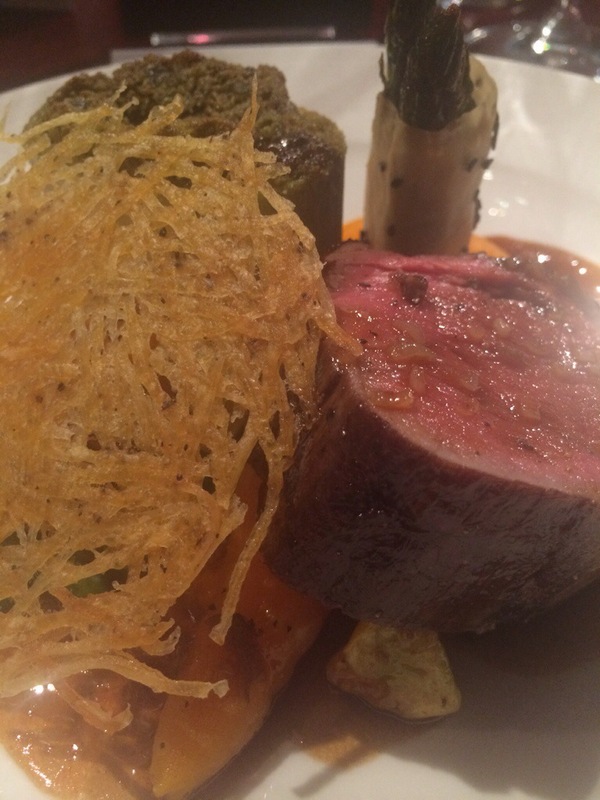 The beef was served with a glass of Chateu Certan de May “Pomerol” (2007). I’m not a fan of red wine, and there has only ever been one that I’ve truly enjoyed. This red was quite light and echoed the flavours of the Genevrieres so I managed it, although I still haven’t managed to get to the place of enjoyment just yet! 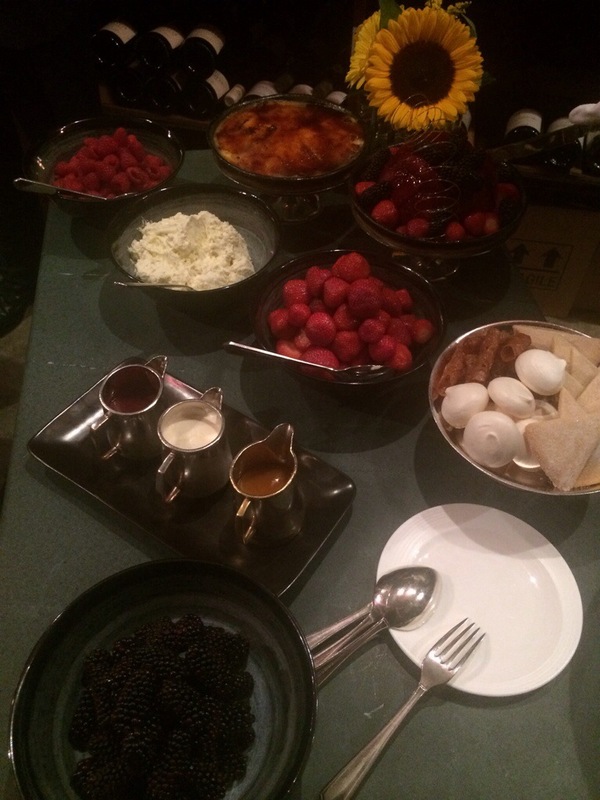 The dessert was served as a pick ‘n’ mix of beautiful local fruits, creams and a crème brûlée. This desserts, to me, represents Gleneagles’ neighbourhood – the local produce is second to none. Perthshire is famed for the soft fruits and berries and for good reason: they’re deliciously juicy with Scotland’s rainfall, and bold in flavour due to the sun that leaks through to this one part of Scotland where the rest of us enjoy(!) rain. 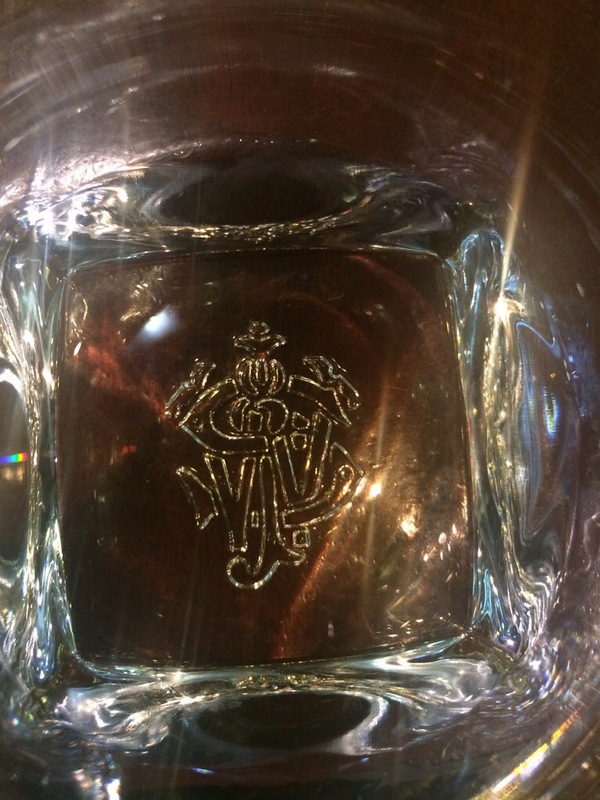 Dessert was served with a frozen glass of 15 year old Dalwhinnie – I was coaxed to try it, and I was reassured that it was nice and mild, especially as it was frozen…no. Whisky = fire. 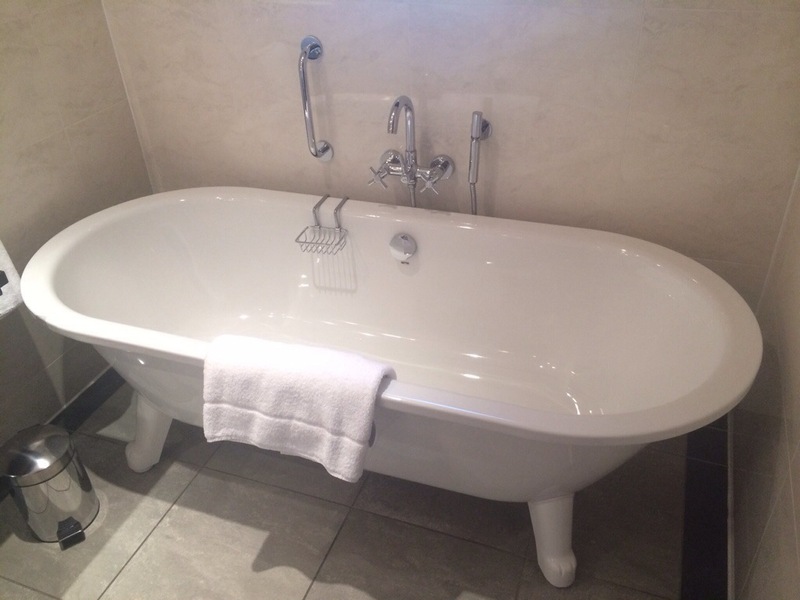 By the time we finished dinner I was ready to dive into a bath and crawl into my massive bed. The director of food and beverages, Alan, was taking to the group to the golfer’s club house for a tour. I was tired but my chronic FOMO (Fear Of Missing Out) prevailed. 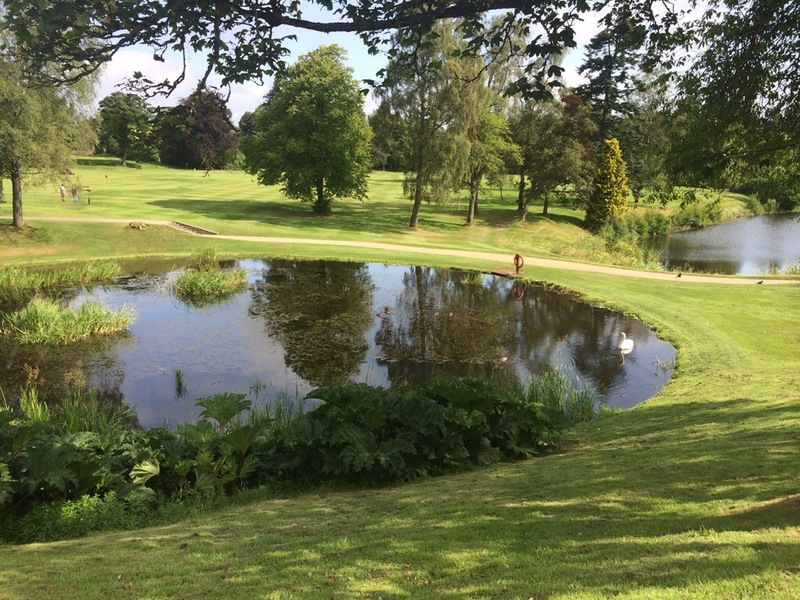 The Dormy Clubhouse is located next to the King’s and Queen’s 18th holes and has fantastic golf course views. 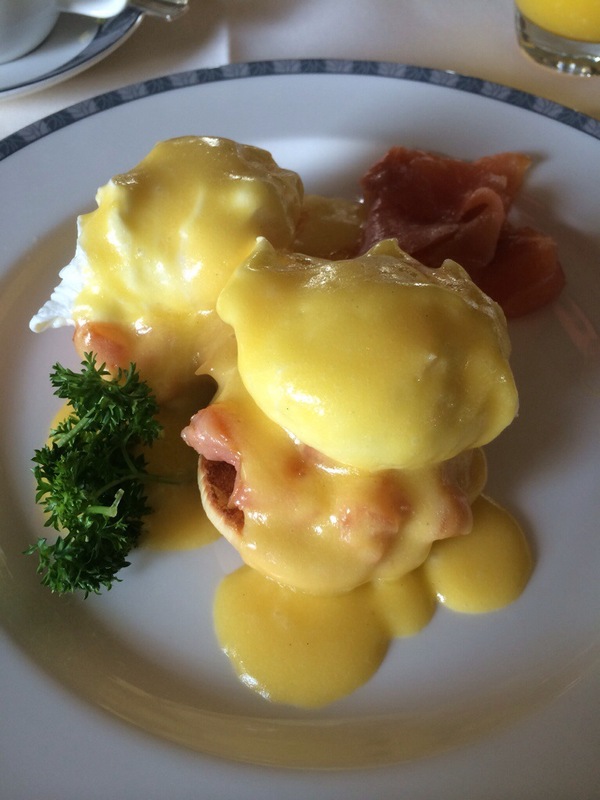 Recently refurbished in 2011, the clubhouse is the ultimate gentleman’s hang out. I’m so glad I tagged along; it’s beautifully decorated with a big fire in the modern yet comfortable bar and they have hot food served from their purpose-built serving area which caters for all tastes (they even have an authentic tandoori oven! 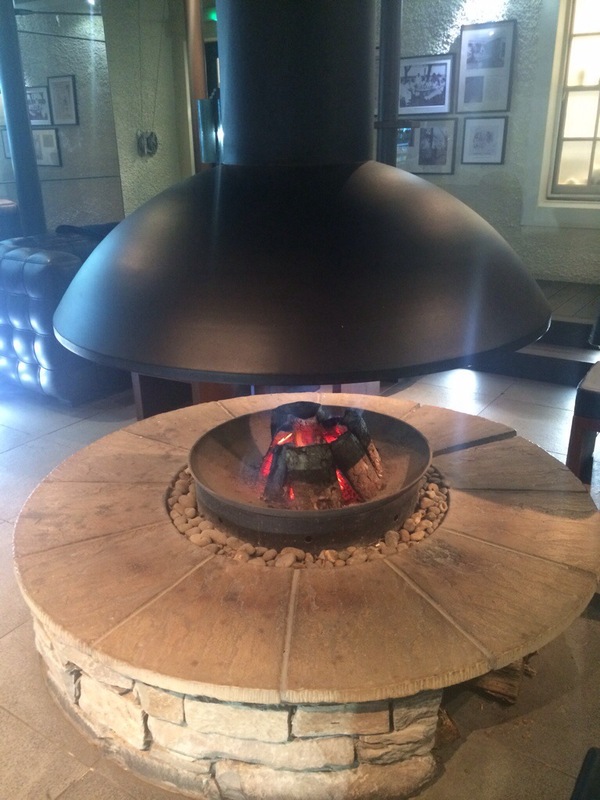 )…but the peat burning fire in the outdoor area was my favourite. To me, the smell of burning peat in an outdoor setting is so calming and earthy – nothing beats it. We sat around the fire which burned that beautiful smell that reminded me of the smell in the air in Islay. 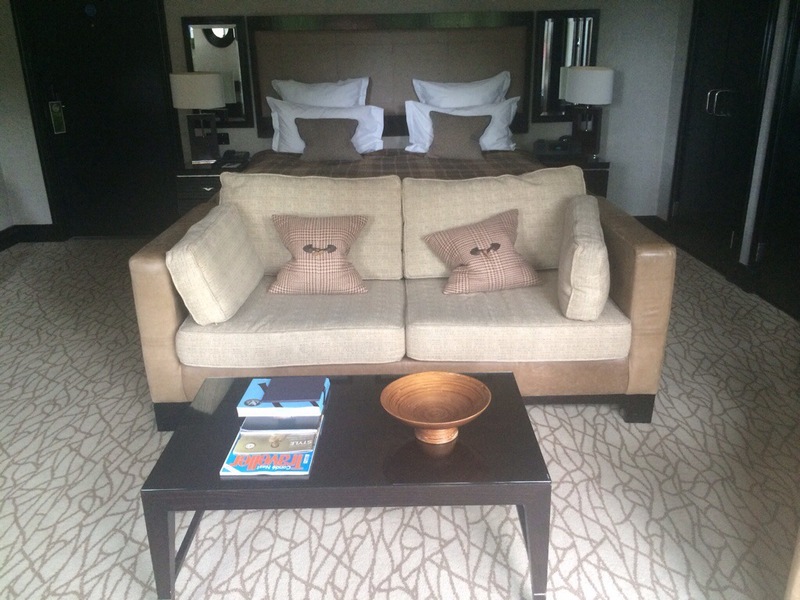 The leather seats are heated and have cosy blankets close by – it’s perfect for sitting out in the sheltered fresh air. 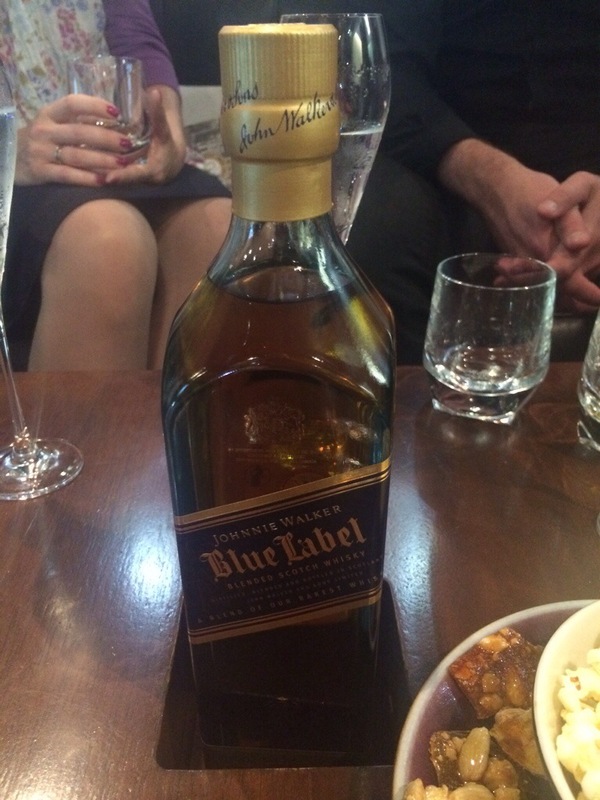 We were treated to a taster of Johnnie Walker Blue Label Whisky and some snacks to bring out the flavour. I’m not a whisky fan but there was something nice about washing my lips with it and licking it off to get the tiniest tastes of sweet vanilla, without the burn! At the hotel you can buy your own bottle and keep it there to enjoy each time you’re there and there is a display wall and you can see all the bottles which have been consumed in various amounts. The next morning I enjoyed a shower followed by a cup of tea on my balcony before heading down to breakfast. In the breakfast room there is a massive buffet of breads, cheeses, cereals, meats and fruit as well as an á la carte menu. In addition to all that: you can order whatever you want and they’ll make it. Absolutely nothing is too much trouble to the friendly and seriously proactive staff. 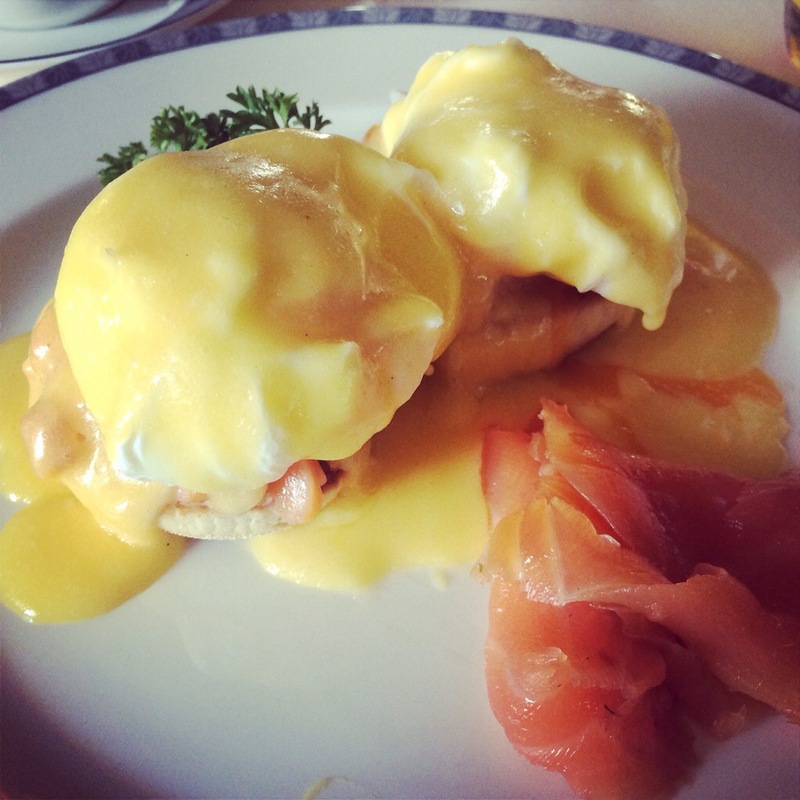 I enjoyed my favourite, Eggs Royale so much, but each bite was filled with sadness as I was biting my way closer to the end of my stay. Alas!… the end came and we left to complete the On Par Food & Drink tour. Thank you so much to 3×1, in particular to Ashleigh for my invitation and being a wonderful host. 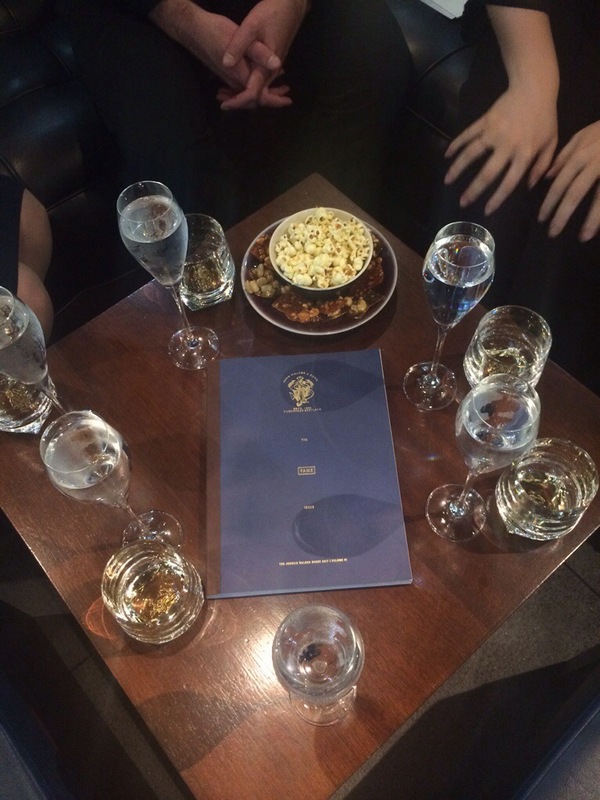 An even bigger thank you to the staff in Gleneagles Hotel. They are not only attentive and friendly but they show their personality and have a laugh with you too. The hotel has such a warm and comfortable atmosphere that I can totally understand why most of their guests are repeat visitors. I’m definitely going to become one of them! Before I finish, I want to share a little anecdote. Simon Howie was talking about business and what makes them effective, and he used the phrase ‘hearts and minds’ and said that for a business to be truly fantastic, the staff must all have their hearts and minds engaged with the business and the customers. He gave an example of a hotel he stayed in abroad, where a handyman was painting the skirting board in a corridor and as he was leaving with his wife, the handyman called after them to say goodbye and to have a safe journey. He wasn’t in a customer-facing role but was totally invested in the service of customers. The next day as I was wheeling my case towards reception, a handyman (or I assume he is, as he was carrying a spanner…) greeted me good morning and offered to help me with my case. I couldn’t believe the coincidence, but it really made me smile. 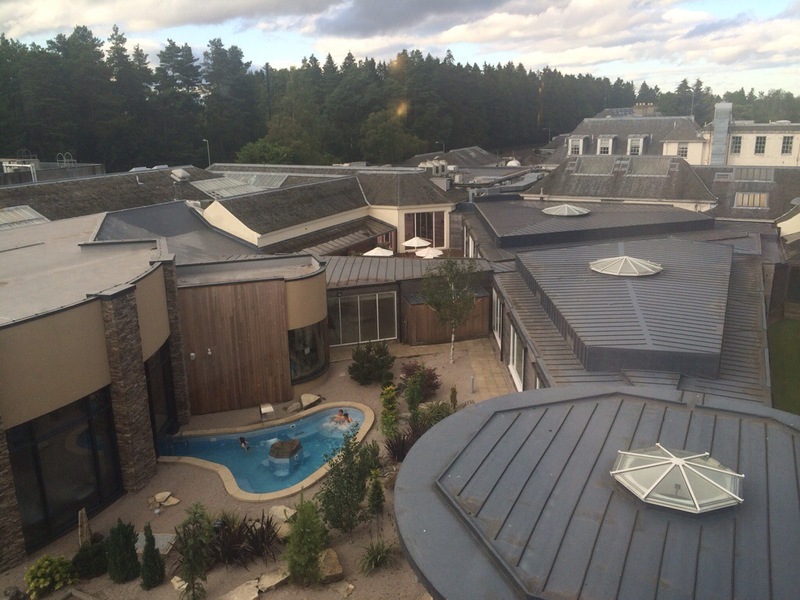 Gleneagles is a ‘hearts and minds’ resort. For more information on The Ryder Cup, please see the official site here. To celebrate this year’s Ryder Cup, Glasgow’s Merchant Square is hosting a fan zone on Candleriggs from Friday 26th – Sunday 28th September. Holy moly this looks like an incredible trip! It REALLY was! I am so grateful for it!